ll hair follicles on the human head are genetically programmed to either become sensitive to the male hormones dihydrotestosterone (DHT) causing the follicle to shrink and die in time or not to become sensitive to these hormones and continue healthy growing. 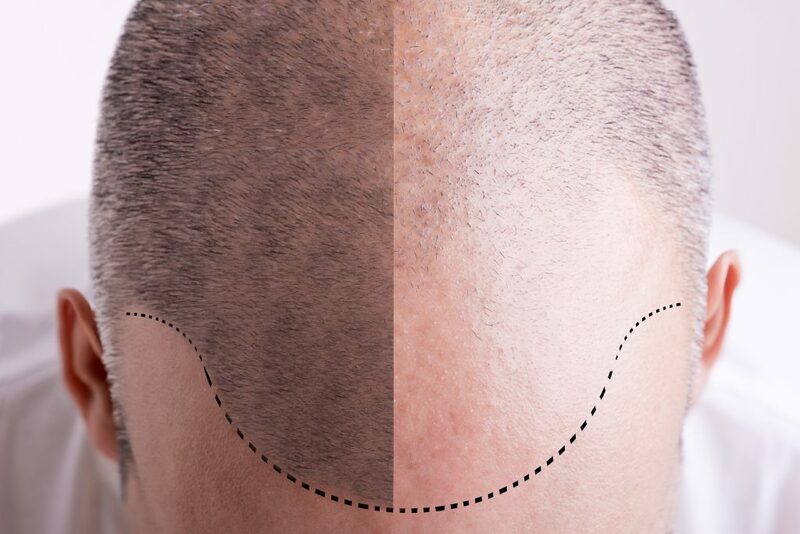 In men, lifelong hair follicles are often concentrated in a horseshoe-shaped area at the very back of the head. This is why most men only lose their hair from the top of the head and not from round the back and sides. 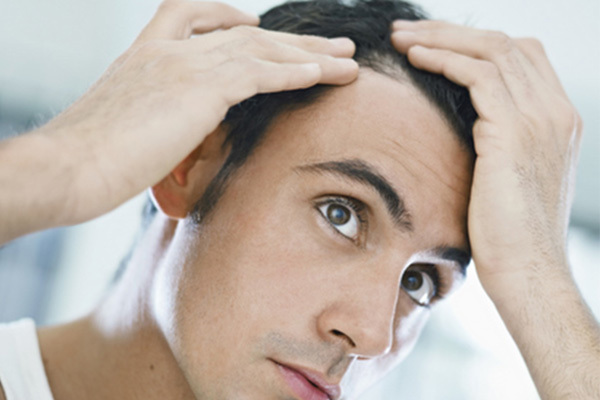 Hair transplantation is taking hairs from the horseshoe-shaped area and placing them in the area of hair loss. Once transplanted, these hairs continue to grow normally. Over the years, the technique of hair restoration surgery has developed enormously. Hair grafts have become increasingly smaller and refined. They can be as small as one or two hairs. So that modern transplant techniques can produce a natural looking result, often indistinguishable from normal hair. The donor hair needs to be taken from an appropriate area of the scalp where the hairs are quite thick. Before surgery, the practitioner may give you a mild tranquiliser to reduce anxiety and discomfort. Also, lignocaine (a local anaesthetic) and adrenaline (used to reduce bleeding) are then injected into the area of donor hair. Once collected, the individual grafts are prepared by a team of trained technicians. The patient’s scalp is then anaesthetised (using either a nerve block, or a local injection of lignocaine) and the grafts are then placed into tiny incisions in the skin. The donor area can provide 1000-3000 follicles as a time and the process of graft insertion can take up to 4-8 hours to complete. Following this, you are free to go home, occasionally with a turban-like bandage that you may be required to wear for the first night to help secure the grafts. Within 10 days after the procedure, the transplanted hairs fall out. However, the follicles remain, so 90% of transplanted follicles grow healthy hairs. To obtain a good aesthetic result, you may need to return for further procedures, depending on the extent of original hair loss, degree of correction required and type of procedure. Complications are minor and usually only involve mild swelling. This may occur 2-3 days after the procedure, along with some mild discomfort. Using mild painkillers as recommended by your practitioner. Gently shampoo the scalp 2-3 days after transplanting. An antibiotic ointment may be suggested to reduce the chance of infection. Contact your practitioner immediately if you experience any severe pain or infection. If either your expectations of a final result are unrealistic, or if the potential donor hair is not suitable, the specialist may recommend that this is not a suitable procedure for you. If you are prone to keloid (red, angry, raised) scars, or have a history of problems with wound healing, the Trichologist may not recommend this procedure or may caution you that scars could be raised and very visible.